This mountain home is freshly updated and move-in ready! The property is secluded and has plenty of usable land with a fenced in backyard, spacious porch, and sizeable deck. There are hardwood floors throughout, a convenient main floor master with an updated bathroom, and vaulted ceilings with oversized windows that let in tons of natural light. The kitchen offers stainless steel appliances and granite countertops. The back deck is located right off the kitchen making it perfect for outdoor entertaining. The family room in the basement is perfect for children and guests and features a wet bar, an office, or craft room complete with its own bonus room. 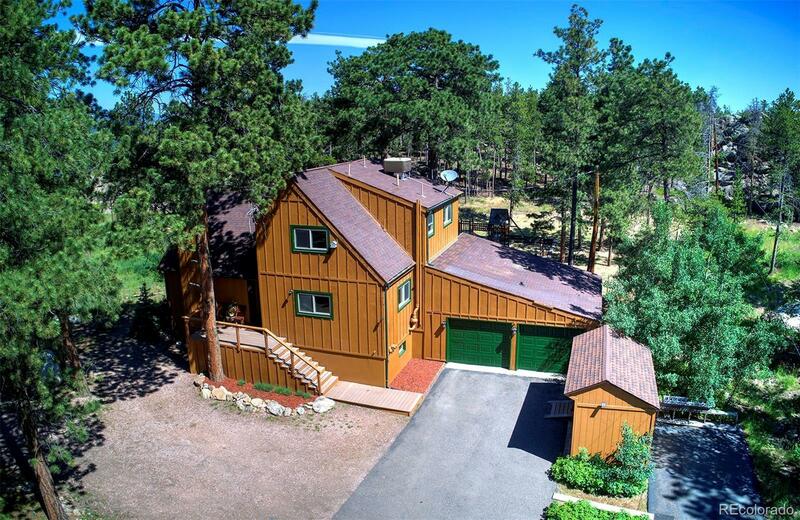 This well-maintained home is perfect for anyone ready to enjoy all that the mountains have to offer. Donât miss out on your chance to own the perfect Colorado home.